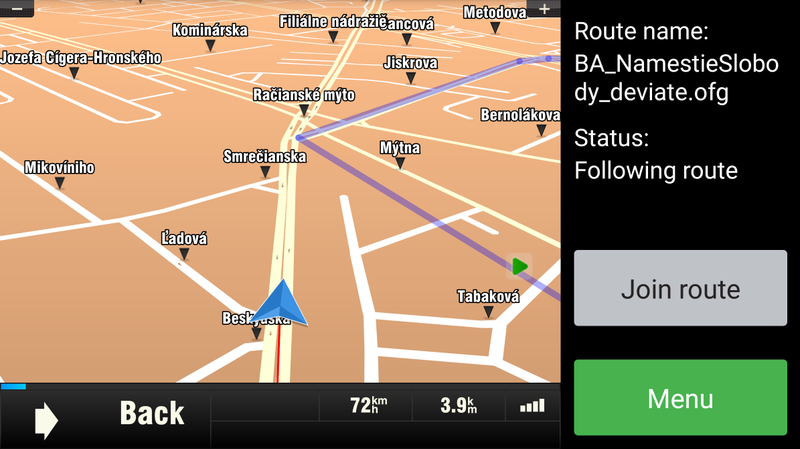 After you started following the selected route, the navigation mode switched to Follow mode. Your route will not recompute when deviating as it is designed to be followed exactly as planned. When moving away from the route, a red line connecting you to the route appears. The line helps you to get back to the route. When driving on route in Follow mode, only one button – Menu – is displayed on the left. Navigate to: Pauses following the route and opens an Address list to choose an address to navigate to in normal navigation mode. Pause: Following the route will be paused. The navgation mode will be switched to normal. For more information read Pause the Route section. Finish: Lets you finish the route. For more information read Finish the route and Missed segments section. If you leave the route, you will hear “You have left the route” and a red line connecting you to the route will be displayed. 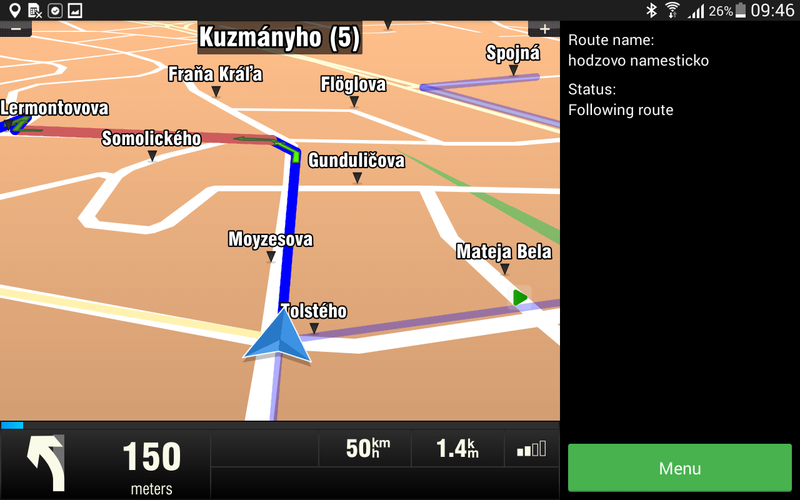 When you come back to route, you will be automatically attached to it and hear “You have reached the route”. In some cases, it is not possible to attach manually. Tap Join route after returning to it to attach manually.